A ducted fan vehicle allows access to such places which are inaccessible to fixed wing UAVs. A useful capability of such vehicles is to perch and stare, where the vehicle lands at a remote location, and performs a certain set of tasks, such as providing live video or imaging. 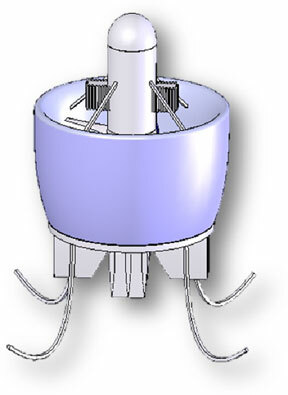 In this project, a ducted fan vehicle was designed to meet unique specifications such as a requirement for a reduced noise operating mode. The design presents an innovative hybrid propulsion system which allows flying for 10 minutes on electrical propulsion. A design process of the aerodynamics, control and structure was preformed. Furthermore, a six degree of freedom simulation model, and preliminary wind tunnel experiment of a sized down model were planned and carried out.